MOVIE REVIEW: Jesse Charbonier Rodriguez, Executive Director of the Mexican Film Festival of the Americas, visited Little Village Monday, June 25, 2012 to present a community screening of the movie “Mamitas”. The screening of the movie was hosted and held at the Little Village Chamber of Commerce offices, 2458 S. Millard Ave. Chamber Executive Director Nilda Esparza introduced Rodriguez and Nancy Oviedo, Intergovernmental Affairs Director of Casa Ciudad de Mexico. INVITED GUESTS to view the movie were representatives from LV Boys & Girls Club, Casa Ciudad de Mexico, Universidad Popular, Little Village Community Council, Farragut Career Academy, Chicago Youth Boxing Club, Lizart Pictures and Museum of Mexican Culture and History. IN “MAMITAS” is actor E. J. Bonilla, Veronica Dias-Carranza, Jennifer Esposito, Jesse Garcia, Joaquin de Almeida and Pedro Armendariz Jr. The actors and actresses gave an exceptional performance. E. J. BONILLA is nominated for Best Actor in the 27th Annual Imagen Awards 2012 and the movie Best Narrative Feature Film Nominee: 2011 New York Latino International Film Festival. “Mamitas” plans to screen in a few more theaters. It was written and directed by Nicholas Ozeki. PEDRO ARMENDARIZ JR. plays the grandfather in “Mamitas”. It was Armendariz’s last movie. He passed away on Dec. 26, 2011 from lung cancer at the age of 71 in New York City’s Memorial Hospital and is buried in Panteon Jardin, Mexico City, Mexico. 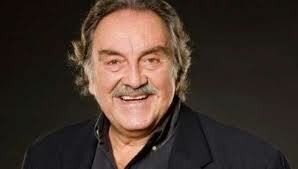 He was the son of actors Carmela [nee Pardo] and Pedro Armendariz. AFTER the viewing of “Mamitas,” Jesse Rodriguez asked the audience to critique the movie. Everyone gave their opinions and agreed the film should be viewed by high school students. Rodriguez offered to bring one of the young actors to Little Village at the next screening; either E. J. Bonilla who plays Jordin or Veronica Dias-Carranza who plays Felipa, both portray students in the film.The movie was in English and is available with subtitles in Spanish on DVD at Netflix, Blockbuster and Amazon. “Mamitas” trailer can be seen on YouTube. Check it out. It is an interesting movie. THE MEXICAN Film Festival office is located at 314 W. Institute Place, Chicago 60610. Telephone: 312/867-0631. Jesse Charbonier Rodriguez e-mail is jesse@mexicanfilmfestival.org or website MexicanFilmFestival.org. FREE HAIRCUTS & MANICURES: The Little Village Community Council, 3610 W. 26th St. is again hosting its Free Haircuts & Manicures Day on Saturday, July 7, 2012. Sabado, 7 de Julio. Gratis Cortes de Pelo y manicures from 10 a.m. to 3 p.m. Students from America Career Institute in Berwyn will be the beauticians and manicurists. The students always do a great job cutting hair and giving manicures to the residents of Little Village. THESE YOUNG students gain experience and earn credit hours; and the community residents save on haircuts and manicures. Throughout the year, American Career Institute has made its students available to give freely to the community. PATRICIA “Patty” Caraballo is the director. America’s Career Institute is located at 7000 W. Cermak Road in Berwyn. Phone number is 707/795-1500. No appointment necessary for a haircut or manicure on Sat., July 7th. 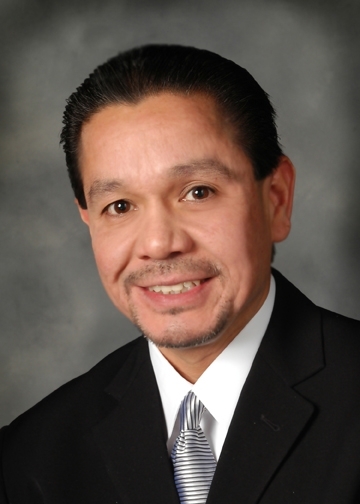 YOU’RE INVITED: Speaker of the House Michael J. Madigan and Mayor Rahm Emanuel invite you to an event for State Representative Edward “Eddie” Acevedo, [2nd District] from 5:30 p.m. to 7:30 p.m. Thursday, July 19, 2012 at the Holiday Inn Chicago Mart Plaza, 350 W. Mart Center Drive, 15th Floor, Wolf Point Ballroom. Individual ticket, $250. 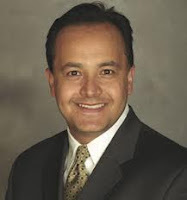 REP. ACEVEDO is the Assistant Majority Leader in the House of Representatives in Springfield [the first Latino to be appointed to this position] and has served the residents of the 2nd District since 1997. He is a second generation Mexican-American, born and raised in the 2nd Representative District. Rep. Acevedo earned his Associates degree in General Studies from City Wide College and is a City of Chicago police officer. He was decorated in 1996 for heroism and valor by the Cook County Sheriff’s Office for rescuing victims trapped in a fire. ACEVEDO proudest legislative accomplishments include passage of the Safe Neighborhood Act, a crime-prevention package; a $500 Tuition Tax Credit; the Arnold Morales Bill, a child firearm access prevention initiative; KidCare, a low-cost health insurance program for children; and the Senior Citizen’s Pharmaceutical Assistance Act. THE 2ND DISTRICT includes portion of the Chicago neighborhoods of Pilsen, Bridgeport, Little Village and McKinley Park. “I WILL ALWAYS support legislation that defends the individual rights of people and I will continue to do all that I can to open the doors of opportunity for those who are too often excluded. Working together, we can make our communities safer, our families stronger and our children more secure,” said Rep. Acevedo. Sat., June 30--First Time Home Buyers Workshop at Citi Bank, 6222 S. Kedzie Ave., 10 a.m. to 12 p.m. Hosted by H.O.P.E. call 773/522-2552. Sat., July 7th--Free Haircuts & Manicures. Sabado, 7 de Julio. Gratis Cortes de Pelo y manicures from 10 a.m. to 3 p.m. LV Community Council, 3610 W. 26th St. Sat., July 14th-- Garage Sale "La Garra de La Villita", 8 a.m. to 5 p.m. 26th St. & Central Park Ave. to 25th St. & Central Park Ave. Open to the public. 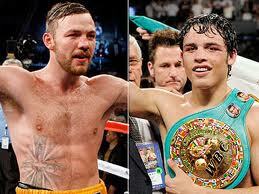 More info call 312/286-3405. Sunday, July 21--Summer Night of Soccer, 7:30 p.m. Toyota Park, Bridgeview, IL. Chicago Fire vs. Aston Villa. Tickets are available for $10 each. Call 708/594-2113. 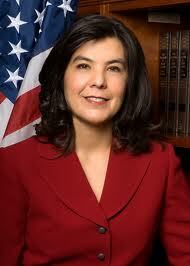 Thursday, July 19th--2nd Annual Birthday Golf Outing for State Rep. Elizabeth "Lisa" Hernandez [24th District]. Gleneagles Golf Course, 13017 McCarthy Road, Lemont, IL. For more info call Lilly Kinney at 708/417-5680. 50th ANNUAL: The City of Chicago Park District, Michael Kelly, General Superintendent & CEO and Evelyn Diaz, Commissioner, Department of Family & Support Services hosted the 50th Annual Senior Citizen Hall of Fame and 45th Annual Senior Citizen of the Year Awards Luncheon. The award luncheon was held Saturday, June 2, 2012 at the Sheraton Chicago Hotel Ballroom, 301 East North Water Street, Chicago. ATTENDING the ceremony were more than 400 Senior Citizens and guests from across the city. Joyce Gallaher, Executive Director of the Chicago Area Agency on Aging, was the mistress of ceremonies. Joyce introduced several Aldermen and dignitaries. Sixty-seven seniors were inducted into the Senior Citizen Hall of Fame and three Luminaries: Father George Clements, 80; Andrew Miles, 86; and Ruben D. Aguilar, 85. All three luminaries were honored, receiving a beautiful glass plaque. Alderman Danny Solis [25th Ward] was introduced and congratulated all the seniors, especially Ruben Aguilar whom Solis said, “He’s my guy!” Len Dominguez, Director of the Carlos & Dominguez Fine Art Gallery in Pilsen, and I attended the awards luncheon as guests of Aguilar. RUBEN D. AGUILAR was born in Chicago to Mexican parents and in 1933, when he was 7 years old, Ruben and his entire family were sent back to Mexico during the infamous repatriation raids. More than two million Mexicans--Mexican-Americans and undocumented-- were deported back to Mexico in trucks and by train. "Mexicans were blamed for unemployment during the great depression of the early 20th century", said Aguilar. RUBEN WAS in Mexico when he turned 18 years old and received a notice from the Induction Center in Chicago for him to report back to U.S. for the draft. He returned to the U.S., reported to military service in the Korean War and drafted into the army during World War II, as a marine. Many Mexican-Americans who were sent back to Mexico, illegally, in 1935 returned back to the U.S. to fight for their country. AFTER HIS military service Ruben returned to Pilsen and worked in design oriented jobs until he had enough money to open his own factory, Chicago Creative Textile Design. The highlight of his career was a commission to decorate Soldier Field stadium for the 1976 Bicentennial celebration. Mayor Richard J. Daley personally met with Ruben and asked him to decorate Soldier Field. Ruben adorned the stadium with 39 foot murals 18’ high and 8’ wide with images of famous sport figures. TODAY, Ruben has a store in the heart of Pilsen on 18th Street where he tells stories of his past and creates new work which is for sale. He is a mentor to young artists in the community and sells their work at his store located at 1504 West 18th Street. Store hours are 1 p.m. to 7 p.m. except on Wednesday when the store is closed. Visitors are always welcome. A CHICAGO treasure, Ruben Aguilar is a testament to the old saying, if you do what you love, you’ll stay young forever! of Mexican Culture and History, 3610 W. 26th announced the Museum will once again host visitors during the Open House Chicago 2012. It’s a free public event Oct. 13 and 14, 2012. “Open House Chicago is an opportunity to showcase our Mexican culture and history,” said Luna. Last year over 200 people visited the Museum. “We had visitors from Wisconsin, Michigan and Indiana, plus from the suburbs of Chicago,” Luna said. THE OPEN House Chicago event is sponsored by the Chicago Architecture Foundation. Little Village was selected as a hosting neighborhood because it is a colorful, exciting and interesting community. Visitors will have 25 neighborhoods to visit during Open House Chicago. No reservation necessary. For more information on Open House Chicago 2012, call 312/922-3432. 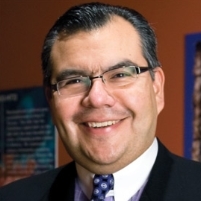 CURATOR LUNA began his passion as a Mexican Culture historian in 1992 when he opened a Mexican book store. After 20 years his store evolved into a Mexican Museum. Luna teaches Mexican culture at the Indiana University Northwest campus in Gary, Indiana, teaching the history of Mexico and Latinos. He is available to make presentations to church groups, senior clubs, schools, military and community organizations. Videos and movies of Mexican history can be seen at the Museum. In Little Village, Luna said that today it is now strictly a museum. The Museum is a collection of Mexican artifacts, photos, equipment, statues and memorabilia. VISITORS to the museum will see black & white and colorful photos of Pancho Villa, Emiliano Zapata and scenes of the 1910 Mexican revolution. Hanging on the walls is a Maya calendar, photos and maps of the Maya empire, twelve colorful paintings of Aztec emperors with their histories and background. Other items on display are sombreros, saddles, ropes, spurs used by the Mexican vaqueros [cowboys]. There are photos of the War of Independence, the Batalla de Puebla and U.S. military equipment are also featured in the museum. THE MUSEUM is under the auspices of the Little Village Community Council and has a vendor number with the Chicago Public Schools and an IRS 501(c) 3 tax exempt status. THE MUSEUM will soon be offering a course in Chicago entitled, “The Mexican American Civil Rights Movement” in collaboration with Dr. Rita D. Hernandez from Texas A&M University- Corpus Christi, College of Education. 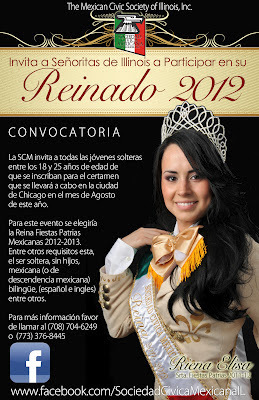 For more info contact William Luna at 773/551-4750. 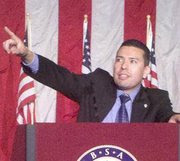 BOY SCOUTING: Ernesto Espinoza, Assistant Director of Field Service, Chicago Area Council, and Boy Scouts of America announced there will be a Scouting Meet & Greet meeting on Thursday, June 28, 2012 at the Steve Fossett Center for Scouting, 1218 West Adams St., Chicago. Registration at 5:30 p.m. Meeting at 6:30 p.m. Botanas and aguas frescas will be served. Cocktails after the presentation. Parking available. SCOUTING provides youth with an opportunity to try new things, provide service to others, build self-confidence and reinforce ethical standards. “Scouting also helps the community become a better place to live by instilling the values of Trustworthy, Loyal, Helpful, Friendly, Courteous, Kind, Obedient, Cheerful, Thrifty, Brave, Clean and Reverent in youth and adults”, said Espinoza. ANYONE interested in scouting, kindly RSVP by June 22nd to Myriam Herrera at 312/421-8000, ext. 209 or Myriam.herrera@scouting.org Ernest Espinoza can be reached by cell: 214/907-9759.